We’d love for you to try us out! Just click on the image and download our 15% off coupon for new customers*. 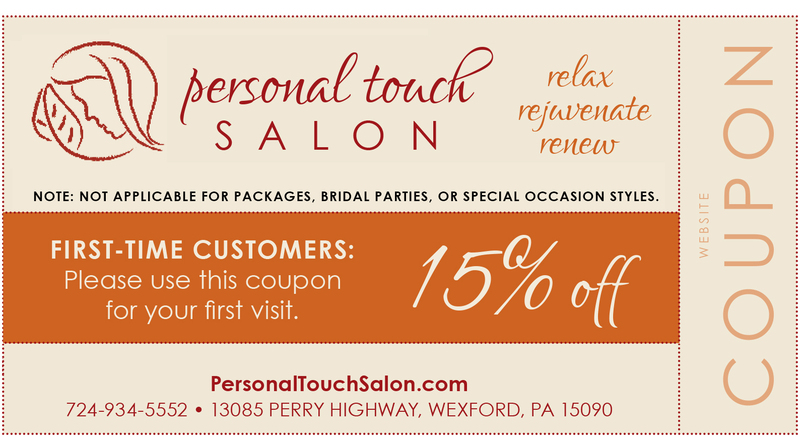 We look forward to giving you the Personal Touch salon services. *NOTE: Not applicable for packages, Bridal Parties, or special occasion styles.